After having fun with the Butterfly (aka "secret") Quilt, I decided to make another art quilt. I finally took this picture inside. Prior to taking this picture, I went outside as so many people suggest. I took two plastic clothes pins to attach the quilt to the fence. And I tried to take a picture. Thar' she blows!!!!! I went inside to take the first picture. Folks, I tried. Did I mention that I watched the latest episode of The Quilt Show with Debbie Schnabel called Enhance Your Quilting "Menu" with Hand Embroidery. Even though I did absolutely no hand embroidery on this, that show sparked the idea for this quilt. You can look at this gallery on her website and see how that happened. I did sew on the circle with a zigzag - no fusible - just like she showed..so that counts. Right? What you don't see in the pictures are the words quilted into four of the circles. "love" "hope" "Joy" and "grace" The are just in there randomly - just because I wanted to put them. Some of the circles have spirals in them too. I love the concentric circles. The imagery is beautiful as well. 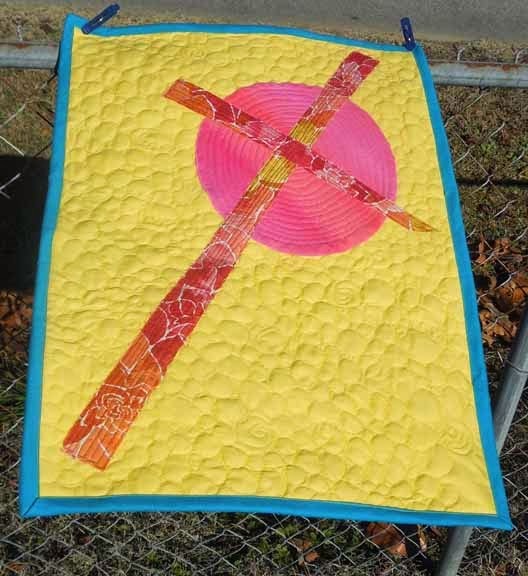 I love everything about this quilt, the colors and graphic flavor and I really love that you quilted words of blessing into the circles! 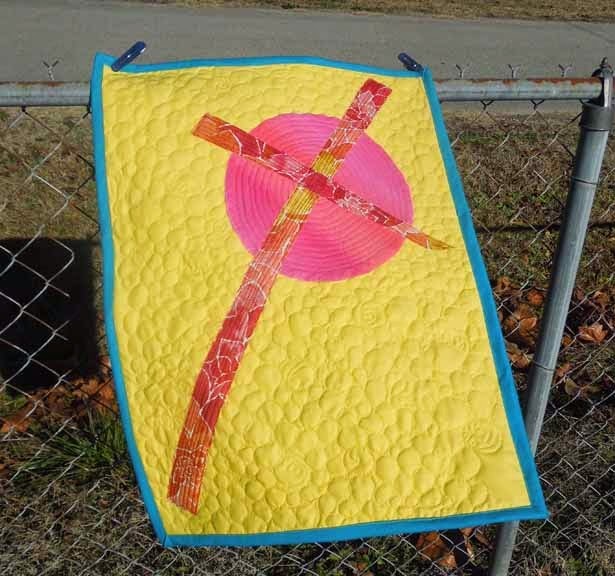 As a fan of hot pink I love this little quilt. This is a beautiful piece of work, Gene!! You have captured my heart with this one. 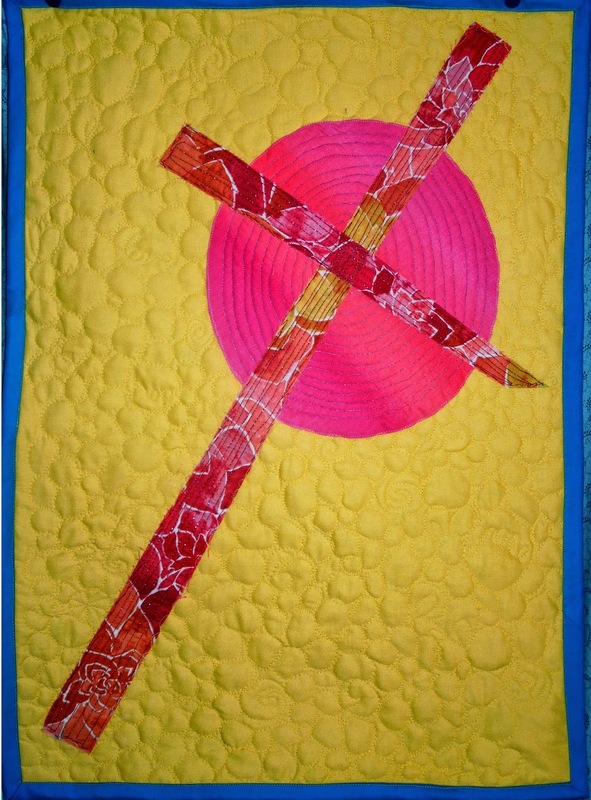 I love the words in your circles and the quilting is superb!! Merry Christmas to you! This is really lovely, Gene. Fabulous quilt Gene! and I love quilting words in to quilts too! Makes them special! Love this quilt. Fab colors. 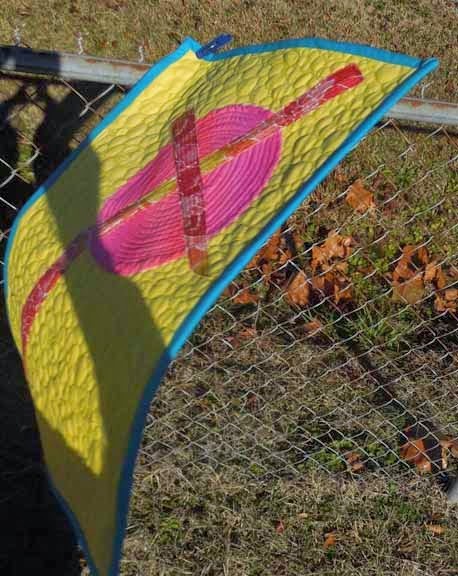 Great quilt, and I love the way the wind gave it life!